One of our favourite Moleskine notebook on-screen sightings sees the Classic pocket hardback in chic black being used by Anne Hathaway’s overworked PA character at Vogue magazine. A perfect demonstration of being practical whilst remaining fabulous-looking; this little black book makes notetaking under pressure an easy task, keeping you in control. Regarded as a design classic in its own right, Moleskine was a natural choice for this modish rom-com film. If the cutting words and raised eyebrows weren’t enough to make each hopeful entrepreneur shake in their boots, watching five multimillionaire judges make silent notes in their Moleskine notebooks in this popular tv series probably is. After all, if they’re writing something down in their Moleskine, it’s either really good – or really bad news. These are notebooks that get reserved for life-changing decisions and revealing maths only! Audrey Tatou’s quirky character decides to change the lives of the people around her for the better in this fanciful comedy film. In one scene she uses a Moleskine Classic pocket hardback notebook to cross off names on a list of people she intends to help during one of her quests, showing us how handy small notebooks can be when it comes to staying organised on the go. Filmed in Paris, the Moleskine notebook revisits its historical roots and travels back to its birthplace here, too. 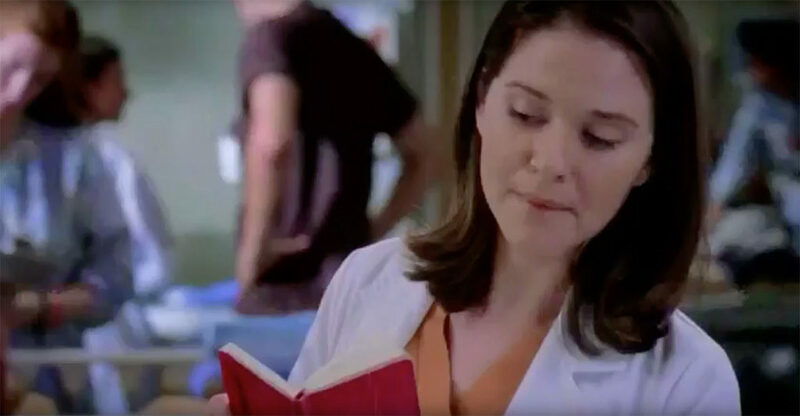 Important medical notes are referred to in a red A6 Moleskine Classic hardback notebook in one of the Moleskine notebook on-screen sightings from Grey’s Anatomy. Because when you’re a busy and important professional you need those notes on hand – thank goodness you can make them in a trusty Moleskine notebook. 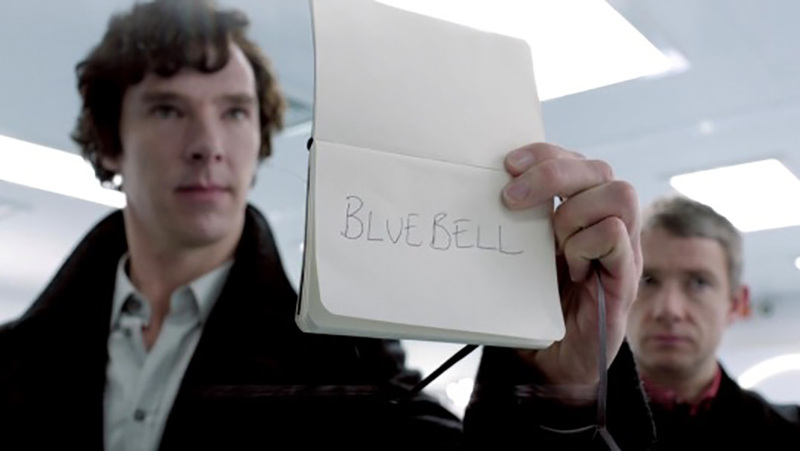 Benedict Cumberbatch’s Sherlock Holmes documents one of his mind-blowing epiphanies on the open pages of a Classic softcover pocket notebook in the last of our Moleskine notebook on-screen sightings – it’s the perfect size for keeping on your person, in your pocket or your bag. After all, you never know when the great moments of inspiration might strike! Visit our Moleskine page to find out more about the Moleskine brand, or give us a call to discuss your how we can brand Moleskine notebooks for your business.